Red Apple Group offers extensive service, apart from associated with the business of apples in Big Apple. The Group even operates an oil refining unit under the name, Subsidiary United Refining. The refining unit processes over 70,000 barrels of fuel everyday and even supplies the processed fuel to various regions like Red Apple Food Marts, 365 Country Fair, convenience stores under the brand of Kwik Fill in Pennsylvania, Ohio and New York. They even have absolute control over the functions of a leading supermarket chain of New York, Gristede's Foods. John Catsimatidis, a Greek immigrant owns the Red Apple Group. There are currently 0 consumer reviews about Red Apple available. Share your review. 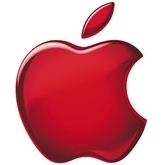 Please take a note that you are about to post a public review about Red Apple corporate office on CorporateOffice.com. This review will be public, so please do not post any of your personal information on this website. If you would like to contact the corporate offices of Red Apple, please use their contact information such as their phone number, website, and address listed above to contact them. However, sometimes staff from Red Apple headquarters do read the reviews on this website.